Calcium Nitrate, Ca (NO3)2, is a colorless anhydrous salt that is used as a fertilizer and in explosives. It is obtained by treating limestone with weak nitric acid. It is also formed during the absorption of nitrogen oxide by milk of lime. Nitrocalcite is the name for a mineral which is a hydrated calcium nitrate that forms as efflorescence where manure contacts concrete or limestone in a dry environment as in stables or caverns. 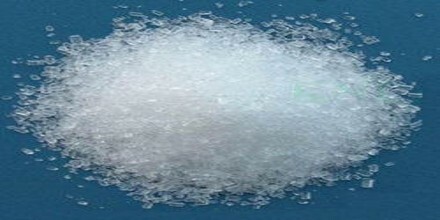 A variety of related salts are known including calcium ammonium nitrate decahydrate and calcium potassium nitrate decahydrate. Calcium is the most abundant mineral in the body. In combination with phosphorus it forms calcium phosphate, the dense, hard material of the bones and teeth. It is an important cation in intracellular and extracellular fluid and is essential to the normal clotting of blood, the maintenance of a normal heartbeat, and the initiation of neuromuscular and metabolic activities. 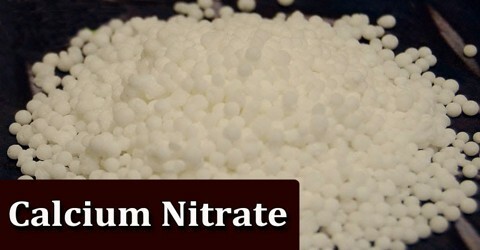 Calcium Nitrate is mainly produced in a granulated form and used as nitrogen fertilizer in agriculture, and it is used in waste-water treatment. It can also be used to accelerate concrete admixtures, regenerate cold packs and transfer heat. As of 1978, only 170,000 tons/year were produced for applications in fertilizers. The fertilizer grade (15.5-0-0 + 19% Ca) is popular in the greenhouse and hydroponics trades; it contains ammonium nitrate and water, as the “double salt” 5Ca(NO3)2.NH4NO3·10H2O. This is called calcium ammonium nitrate. It is also used to control certain plant diseases. The nitrogen in calcium nitrate also helps a plant absorb other nutrients in the soil, while the calcium provides the necessary nutrition to promote cell growth in a plant. It is also used to prevent odors in waste water by creating an anoxic biology, which stops the metabolism of odor-producing sulfates. The calcium ion in calcium nitrate accelerates the formation of calcium hydroxide, which helps increase the rate at which concrete settles. Calcium Nitrate is used in set accelerating concrete admixtures. This use with concrete and mortar is based on two effects. 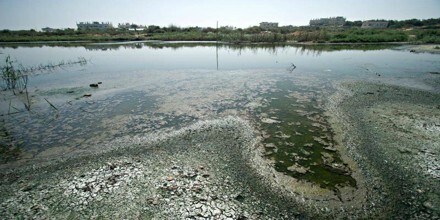 It is used in waste water pre-conditioning for odour emission prevention. Many calcium salts have crucial uses in metabolism and in medicine. Calcium salts are responsible for the radiopacity of bone, calcified cartilage, and arteriosclerotic plaques in arteries. 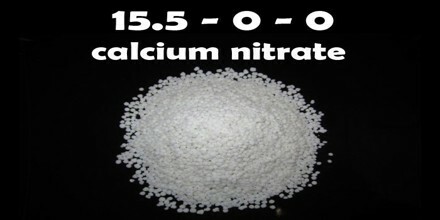 Typical are binary mixtures of calcium nitrate and potassium nitrate or ternary mixtures including also sodium nitrate. Those molten salts can be used to replace thermo oil in concentrated solar power plants for the heat transfer, but mostly those are used in heat storage.